THE TV5 network ended its local news program “Aksyon Bisaya” reportedly because of the television company’s cost-cutting measures. The decision of the TV5 management to abolish its news team came as the local broadcast media celebrates Kapisanan ng mga Brodkaster ng Pilipinas (KBP) Month. Also, the local media is preparing to celebrate Cebu Press Freedom Week on Sept. 18 to 24. 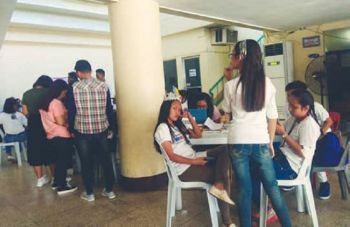 Reporter Lesley Caminade-Vestil told Sun.Star Cebu that only Aksyon Bisaya was dissolved but the reporters will still gather breaking news for their national broadcast. She said that while there is no termination of services of Aksyon Bisaya personnel, there is reportedly an offer of separation benefits. Aksyon Bisaya newscaster Glenn Soco said that it was the management’s decision to downsize. It also affects Aksyon Davao. TV5 Cebu has around 12 news reporters and videographers. “It was so sudden that I feel for the employees,” said Soco, a businessman and president of the Mandaue Chamber of Commerce and Industry. Most of the Aksyon Bisaya news reporters and videographers are members of the Cebu Federation of Beat Journalists. A TV5 staff who requested anonymity said that the move of the management to reduce the cost of operation will affect several employees and their families. The source, who is among those affected, said that some of them are evaluating whether or not they will file a complaint against the management before the Department of Labor and Employment. The same source said they suspect that the downsizing is just a ploy of the TV5 management to keep them from becoming regular employees, and skirt President Rodrigo Duterte’s order to end contractualization. TV5 is owned by Manuel Pangilinan of the Philippine Long Distance Telephone Inc.